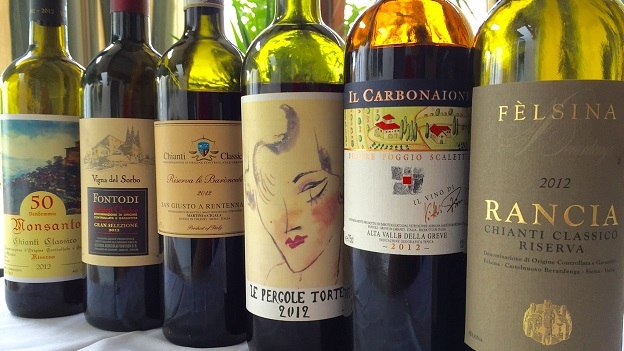 Ask ten growers about the 2013 and 2012 vintages in Chianti Classico and you are likely to get ten different answers, some of them starkly different. That, in a nutshell, encapsulates just how diverse Chianti Classico is as a region. Generalities are hard to come by in both 2013 and 2012. For that reason, most of the vintage commentaries are included within the respective producer profiles. 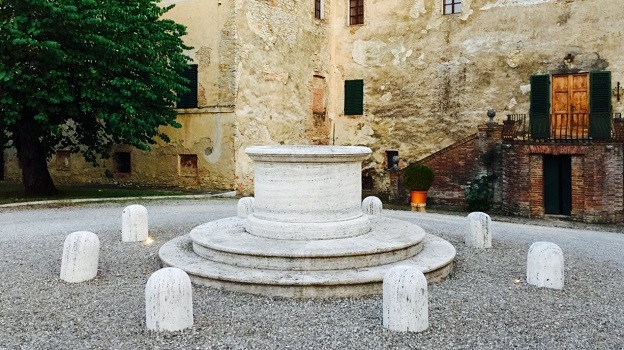 This article covers wines from Chianti Classico and the broader Chianti appellation, most of which I tasted this past summer. Two thousand thirteen has turned out to be a mostly strong vintage for Chianti Classico. The wines range from excellent to sublime. A few 2013s show the potential to ascend into the ranks of the truly epic. All that said, 2013 is not an easy vintage to get a grasp on. The vintage is described by some growers as cool and late-ripening, with good alternation between daytime and evening temperatures, one of the conditions that is considered essential for the development of color, aromatics and full physiological ripeness. In my view, these are the most compelling wines of the year. So far only the base Chianti Classicos have been released, but some of the 2013s I tasted in barrel are thrilling. The finest 2013s resemble the 2010s, but with more mid-palate richness, ripeness and sweetness. But 2013 is not a success across the board. Wines from areas that saw warmer temperatures and less rain – at times also accompanied by lower yields – are at times dark, heavy and lacking the verve that makes Sangiovese so captivating. There will likely be a few exceptions, but even so, I don’t see the 2013s rivaling the translucent purity of the 2010s, the vintage that is in my view the finest since 2006. The Italians have a great phrase; “a macchia di leopardo” which more or less translates into ‘like the spots on a leopard’s skin.’ That is the essence of 2012. Quality is seemingly random and all over the place. 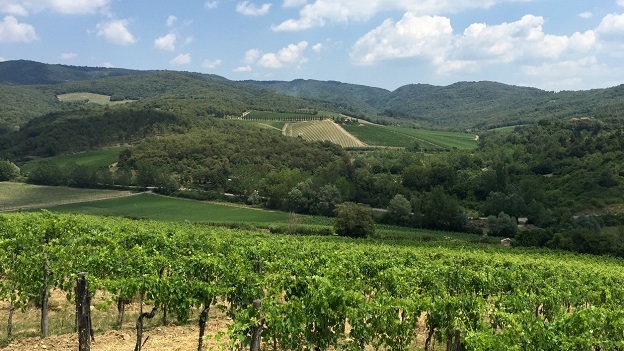 I remember visiting Chianti Classico in the spring, when the weather was already excessively hot and dry, with a water deficit inherited from 2011 that showed no signs of abating. But the vine has a way of self-regulating, and the plants set a crop they thought they could ripen, with small bunches and berries. Some rain fell in the late spring and early summer before hot, arid conditions returned with a vengeance in July and August. Rain arrived again in late August and into September, right around harvest or during harvest, depending on the property. This is when the fortunes of the vintage diverge sharply. Some estates, like Ama, were devastated by the irregularity of the growing season and the timing of the rains. In the end, proprietor Marco Pallanti skipped the vintage entirely. At Montevertine, severe sorting reduced the production of Pergole Torte by 35%. The wines, while good, are not at the level of the best vintages. Further south, in the warm southern reaches of Castelnuovo Berardenga, Fèlsina made beautiful, fruit-driven wines. Giovanni Manetti at Fontodi made some of his best wines ever. And that is 2012. Broadly speaking, the 2012s are slender, mid-weight wines that in many cases resemble the 2005s, but with a little more mid-palate sweetness and density. Rain at the end of the season bloated the grapes, lowered alcohols and diluted the wines, but because of the early season heat, the fruit signatures tend toward the riper end of the spectrum. So, the 2012s are essentially ripe and racy in style, with good up-front fruit, but with medium-bodied structure. I imagine most 2012s will offer their best drinking sooner rather than later. It is an average vintage where talented and dedicated growers were mostly able to overachieve the overall quality level of the vintage. For more on 2012, readers might want to revisit my article from last year. I also tasted a few 2014s, another year that will prove to be highly variable. It is an especially difficult year for early maturing grapes and results vary widely, but I tasted a few highly promising wines, the best of which are nervous, energetic and full of life. By all accounts, the introduction of the new Gran Selezione designation has turned out to be a huge commercial success. In order to qualify for Gran Selezione status, wines must meet a set of technical parameters that include being made from estate owned vineyards. The final step is approval from a tasting panel. Here it gets trickier. Clearly, producers want to see an increasing number of Gran Selezione Chianti Classicos because it demonstrates growth in the category. But I tasted some Gran Seleziones that are far, far off the mark from a level that is designed to represent the peak of quality within the appellation. Too many wines are being given an easy pass, and that could turn out to have dire consequences for all producers. When consumers buy a Chianti Classico Gran Selezione they should get a great wine. A Gran Selezione. Not an average wine, not a good wine. A great wine. That is what Gran Selezione should be. Today, not all wines are at that level. Hopefully these are just growing pains and the tasting panels will be a little more rigorous going forward. Still, all things considered, Chianti Classico remains one of the truly great values in the world of wine. Most of the better Chianti Classicos sell in the $25/bottle range and deliver better quality than Bourgognes (and even many village-level Burgundies), base Barolos/Barbarescos and other similar Old World wines, especially if readers focus on the best producers. At the high end, there is no question the finest wines from Chianti Classico also compare favorably with global peers. The best Sangioveses have a magical ability to convey the essence of place and develop gracefully in bottle into gracious, translucent wines with a level of finesse that is equaled only by Pinot Noir and Nebbiolo.